The photo was actually taken on one of my first Milky Way Photography adventures back in college. I had taken night sky images from 2009-2011, but 2012 is when I started taking a strong interest in shooting the Milky Way and shooting night sky timelapse photography. Friends and I would take weekend trips up the mountains around Santa Barbara almost every weekend. We would set up a little base camp somewhere and shoot the Milky Way all night until sunrise, it became an obsession. On this specific night the stars really did align for us. I remember driving up the mountain with the window open looking through a thick layer of fog. I was absolutely sure that the top of the mountain would be fogged in and the 1.5 hour drive in the middle of the night would be for nothing. To my disbelief, right as we reached the top of the mountain we were greeted with a gorgeous view of the Milky Way shooting out from an incredible bank of fog. It was an awesome feeling, the kind of view that makes you feel like you are on top of the world. With some effort and a little luck, I was left feeling excited about what I was able to capture that night. 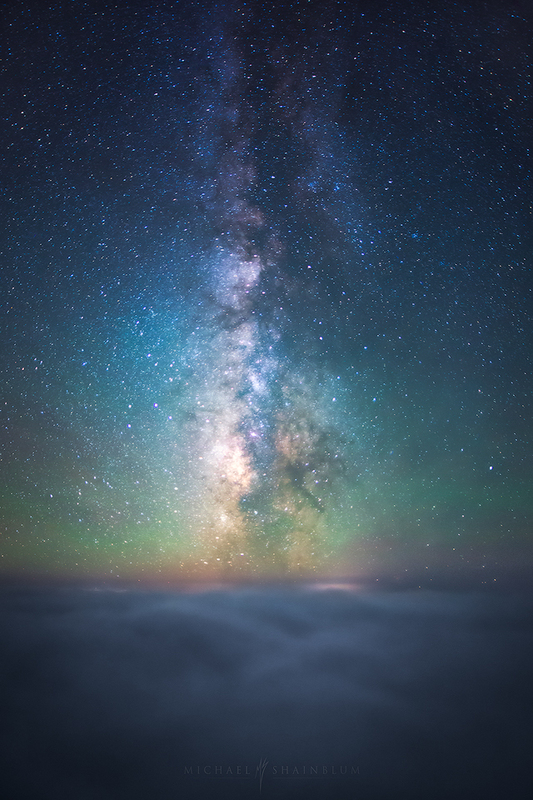 Its a fairly simple photograph taken of the California night sky above the fog. Its one single RAW file taken with the Canon 5D Mark iii and the Sigma 20mm 1.8 Lens. The post production process seemed basic enough, a little noise reduction, white balance, color adjustments and final tweaks. Yet, despite it’s simplicity, my first attempt at processing this image proved to be a failure. Capturing the image in the camera is just a small part of the mission when it comes to creating an image and the real uphill battle for me sometimes can be the processing. Getting the image to feel the way I want it to feel. Getting it to be an extension of myself, not just what the camera gave me. On my first attempt, despite my best efforts, I was never able to get it to a place that I was satisfied with, and I was at a loss with what it was missing. I had to give up. Later that year I made another attempt, and if failing with this image once wasn’t hard enough… There I was again. At a loss… giving up again. This was a repeating pattern that happened countless times over the last 4 years, until finally mid May I decided to start back up again. For some reason, this time around, I knew exactly what I wanted for the image. It was clear to me… the style, color balance, brightness. Everything that was so uncertain and unclear before, just vanished, and the image came together for me with ease. The take away for me with this image is that sometimes an image needs time to sit for a little before the final vision is clear. This isn’t true for every image, sometimes the vision of post production is clear when taking the photo or even when planning the photo. I guess I am just thankful that I didn’t delete this RAW file from being too fed up and frustrated. I spent hours and hours only to become angry and uninspired by the results and this happened countless times. You put hard work and dedication into processing the image only to be dissatisfied with the results. I am here to say, this happens to everyone whether you just picked up a camera or have been shooting for 10+ years. Maybe thats just being an artist, we are never 100% satisfied with our work. There is always room for improvement and there are always new things to learn. If you work on an image and it does not come out how you wanted it to, put it away and try again another time. Dont give up, even if it takes you 4 years to get it right! I want to thank my good friend Ted Gore for helping me edit my article. He is an incredible landscape photographer! You can check out his work here! If you would like to learn how I process my night sky and Milky Way photos, you can check out my tutorial here! I always have the same problem! But I also have another one: I often not sure what feeling and look I want from a photo and then I’m just tweaking all the sliders in Lightroom trying to make it better. It never works though. That is definitely an issue I have had before as well. I usually just wait and come back to the image with fresh eyes. It takes time but you will eventually see the vision for the photo. Tweaking sliders and just messing around can help sometimes though too. It consisted of over 100 images and I spent days trying to stitch it together, tried all different software and manually stitching. Everything I tried wouldn’t work and I came within minutes of deleting all the pictures and admitting defeat. In the end one last attempt provided me with something I could work with. So glad I persisted with it! Glad it worked out, nice shot! Great work Michael as always and nice article highlighting post processing frustration and how to overcome it. 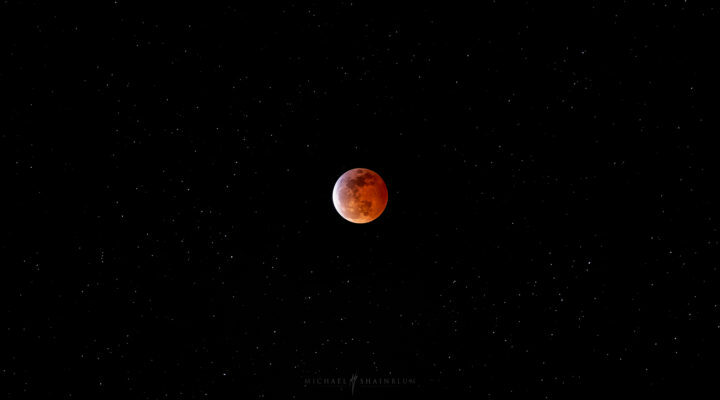 You have some awesome time lapse videos, and seriously great night photography Michael! Nice article on getting the image the way you want it, and the time it sometimes takes to get it there. Getting it just right, does rely heavily on processing knowledge, and lots and lots of practice. I plan on ordering your milky way processing video soon, once I catch up on some other processing vid’s I recently purchased. Night photography is something I have not done a lot of, I sometimes get caught by the twilight transition, and just keep on shooting into the early evening, but you have some very serious dedication to night photography for sure, your skillful work is inspiring! I have been following your work on 500PX for sometime now, and look forward to your new stuff. Thank you so much Mike, I really appreciate you checking out the article and for the kind words! I am so happy I came across your sites, I watched your 20-minute video on post-processing in LightRoom the Milky Way at Joshua Tree NP. It was easy for me to understand and such a relief after watching some very complicated Photoshop tutorials. And I like your images better. I was becoming frustrated with the learning processes until I watched your video. And now after seeing your Milky Way image above the fog in Santa Barbara, I am inspired to go north from L.A. I am so happy I would like to give you a hug! Please let me know if you have a newsletter or blog.